April 15, 2011 - It appears that the British Airways cabin crew maybe on a track of mutual understanding and respect with the new British Airways CEO, Keith Williams after a turbulent relationship with the former CEO Willie Walsh who was responsible for generating great deal of turmoil for the struggling air carrier. BA cabin crew went out on strike several times during 2010 as a result Walsh’s negative tone toward labor relations and outsourcing of labor which resulted in numerous flight cancellations, delays, an erosion of customer satisfaction and had put the merger of British Airways and Iberia Airlines in jeopardy. In January 2011 British Airways merged with Iberia (BA-Iberia), Walsh was appointed as CEO of International Airlines Group the parent company to BA-Iberia and Williams became CEO of British Airways. When Williams came onboard he wanted the past put behind them and find a language that would reflect a common purpose. He immediately reached out to the union. However, BA cabin crew in an effort to send out a clear message overwhelming voted to back a strike action. Since then, BA cabin crew union, general secretary of Unite, Len McCluskey, and the new Williams, have had “exploratory talks” over the last few weeks and “are committed to seeking an honorable and fair settlement to the long running dispute”. Both men accept that a lasting peace is essential for the well-being of all cabin crew and for the benefit of British Airways’ customers. To achieve such a peace, it is understood by British Airways that cabin crew must feel that their concerns are being fairly dealt with, and it is recognized by the union that that the management and acceptance of change is the key to lasting peace. A lasting settlement will require resolution on matters important to cabin crew, restoration of staff travel with seniority on implementation of the settlement including a new working relationship with the local representatives, a binding independent review of disciplinaries to ensure fairness and measures to address concerns on earnings and lifestyle associated with the established changes in onboard crew numbers and the introduction of Mixed Fleet. British Airways and the union have embarked already on a process of cooperation building, assisted by a highly regarded external company. It is hoped that this continuing process will help develop and strengthen trust. The current strike ballot mandate given by cabin crew means industrial action must be announced by 15 April. Both parties accept that this would severely undermine any attempt at a genuine settlement. 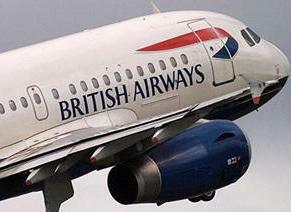 Accordingly, British Airways it is prepared to grant an extension of 28 days to the Union. A variety of meetings will now take place in the belief that the optimism of recent weeks can be turned into a reality that will allow British Airways to focus on delivering the high quality service its customers expect and to take all its staff confidently into the future.